Africa, the world’s second largest continent, is made up of 54 recognized countries and the largest populations of wild animals. In Africa you can track the Big Five - lion, elephant, buffalo, leopard and rhinoceros - as well as hundreds of different species including giraffe, hippos, hyena, zebra and countless others. Not only great for game viewing, Africa is a continent that is rich in history, a perfect place for a culturally enlightening travel experience. For most people, Africa evokes images of sun-drenched plains, nomadic tribes, and vast game parks, and though all of this is present, Africa offers visitors more than just safaris and sunsets. Exceptional sailing and scuba diving awaits you on the east coast and if you like breathtaking views with your adventure, then Mount Kilimanjaro is for you. Cape Town is a prime shopping destination where you can buy everything from crocodile teeth to gold bracelets, and if you are interested in seeing other people's riches, then a trip to the Egyptian Pyramids will put a sparkle in your eye. Africa will surprise you with its wealth of experiences and although you may come for its beasts, you will stay for its beauty. 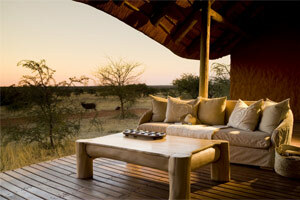 Alongside the incredible experiences are luxury accommodations throughout all of Africa. Unique and incredible game lodges are nestled deep within national game reserves combining authentic safari experiences coupled with ultimate luxury. These are sample routes that have been developed over many years to reflect the most frequent and favored requests in Africa of our independent travelers. These suggestions allow you to depart to any country in Africa on any day, choose your lodgings level and add extra nights and safari tours as desired. Whether using these itineraries as a starting point or if you’d prefer using one of our pre-designed African packages, these sample safaris compile some of our best locations, lodging and activities for Eastern and Southern Africa. 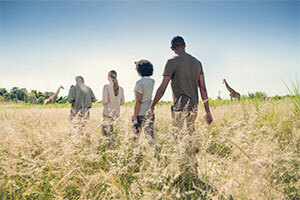 With no limit on how many changes can be made, our Swain Destinations Africa specialists can ensure that you will not miss a single animal or sight on your African adventures. These pages provide an overview of must-see and -do highlights in each African country we travel to. These amazing destinations and outstanding activities, like viewing Africa’s Big 5, are often included in our itineraries, or can be adjusted to suit individual needs and personal interests for visiting Africa, as well as budget and schedule parameters. 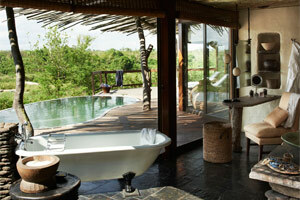 Activities such as viewing Victoria Falls in Zambia and numerous wildlife safaris bring Africa alive. Offering everything from sojourning to the Seychelles to elegant shopping in Dubai, Swain Destinations’ African activities are able to accommodate all variety of travelers. To ensure that you don’t miss any African experience while on your trip, we compiled an exclusive list of some the most exciting and exclusive experiences of these remote destinations to satisfy all interests. 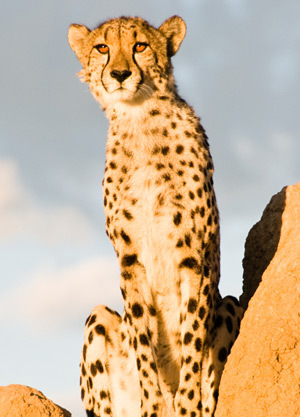 Swain Destinations boasts a solid reputation for fostering relationships with various lodges and game reserves in Africa. Our Swain Preferred collection within Africa offers a second-to-none experience, highlighted by superior service and amazing quality. Offering a variety of accommodation levels and tastes, Swain Destination prides itself on their extensive property listing within Africa. With some of the best hotels, lodges and game reserves offered in the bush, clients are well looked after with their every request fulfilled. These are fully inclusive and guided touring experiences that are shared with small or large groups of travelers who also share your love for travel. Each tour is packed with many inclusions and meals, as well as the presence of an experienced guide, offering real value for money.